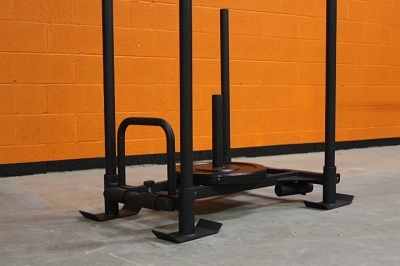 Develop explosive power and speed with the Rugged Fitness "Tank" sled. Made of heavy gauge steel and ready for the hardest workouts. Come with pulling harness. For use with Olympic weight plates (not included). *Note: This piece may ship disassembled. Dimensions: (L x W x H) 40" x 24" x 42"